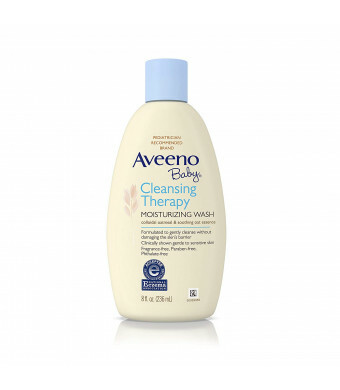 Aveeno Baby Cleansing Therapy Moisturizing Wash softens and soothes extra-dry skin without damaging the skin's barrier. Formulated specially for babies, this pediatrician-recommended brand is clinically shown to be gentle to baby's sensitive skin. 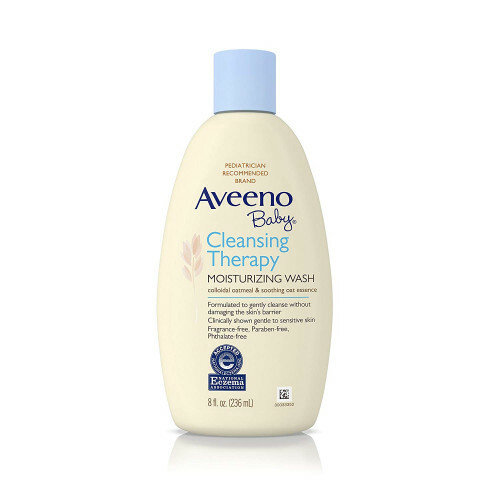 The mild formula of this baby wash combines soothing oat essence, natural colloidal oatmeal, and rich emollients to soften and relieve irritation and dryness. This baby eczema wash has been awarded the National Eczema Association Seal of Acceptance and is fragrance-free, dye-free, and paraben- and phthalate-free. While no one knows for sure what causes eczema, we do know how to care, soothe, and protect your baby's eczema-prone skin. Bath time with your baby is a special moment but with eczema, these moments can be challenging. 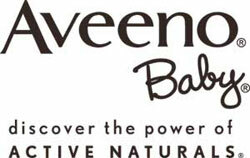 To help you care for your baby's skin, the AVEENO Brand has harnessed the naturally soothing power of colloidal oatmeal. Developed with leading dermatologists, this breakthrough formula combines soothing oat essence and natural colloidal oatmeal with rich emollients to soften and soothe irritated, extra dry skin. The wash is formulated to gently cleanse without damaging the skin's barrier and has even been awarded the National Eczema Association Seal of Acceptance.